Since the mid-1990s, several influential grant makers have collaborated to “change how we die in America.” Palliative care was their vehicle. 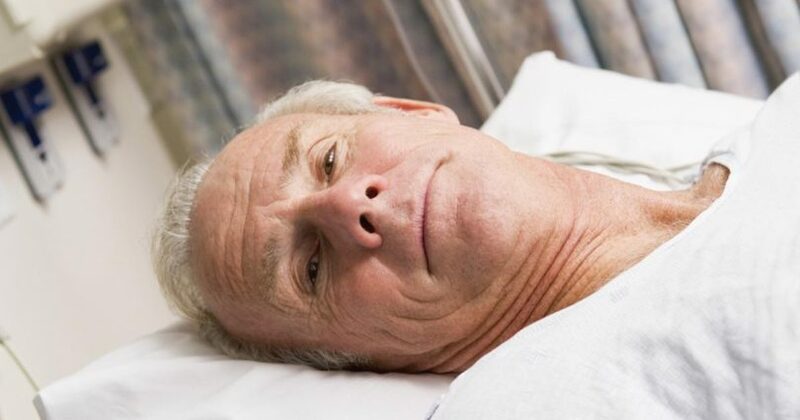 However, the problem in palliative care is not strictly due to “the euthanasia movement,” as it is commonly known. Yes, there are a number of palliative care leaders who are affiliated with Compassion & Choices (formerly known as the Hemlock Society) or who admit to being in favor of assisted suicide and euthanasia. But, there is an equal threat coming from a growing cohort of bioethicists, physicians (often at academic health centers), community organizers and hospital/hospice administrators. They usually claim to be “neutral” on decriminalization of physician-assisted suicide, and some will even say they oppose it. In reality, they promote the hastening of death by blurring the line between passive euthanasia (withholding or withdrawing of life-sustaining treatment or death by overdose of opioids) and good, common-sense medical care. Much of the funding to promote passive euthanasia came from the Robert Wood Johnson Foundation, beginning in the eighties, and from George Soros’ Open Society Institute, beginning in the nineties. RWJF funded infrastructure changes in the health care system, and Soros funded leadership development. RWJF is known for making grants that promote single-payer universal health care, but perhaps is less known for its promotion of palliative care. Initially, RWJF funded a multiyear project whose results helped frame a three pronged strategy for foundation funding as outlined in the Hastings Center Report: (1) Change professional education (i.e., for doctors, nurses, chaplains, social workers); (2) change institutions; and (3) change public attitude. RWJF chose Midwest Bioethics Center (now the Center for Practical Bioethics) to lead a national program called Community-State Partnerships to Improve End-of-Life Care. This was to help build statewide coalitions. Led by bioethics centers, ethics committees and ethics networks, they helped frame changes in state-level policy/guidelines on withholding/withdrawing life-sustaining procedures and pain management. George Soros sent limited funding to high-profile euthanasia groups. The bulk of his funding went to the more low-key Faculty Scholars Program, sponsored by his Project on Death in America (launched in 1994). Kathleen Foley was its director. Foley opposes physician-assisted suicide, not because it is inherently wrong, but because she believes this is not the right time for its decriminalization. Among the early PDIA grant recipients were members of Choice in Dying, a right-to-die group known for its promotion of living wills and the “right to refuse treatment.” In the early nineties, Choice in Dying launched a demonstration project that became known as Education for Physicians on End-of-Life Care, to incorporate end-of-life care into medical education. Loyola University Chicago Stritch School of Medicine was one of the sites. A few years later, the school received a PDIA grant to develop RC EPEC, a parallel, end-of-life education program for Catholics, which was incorporated into the “Recovering Our Traditions” materials/conferences of the Supportive Care Coalition (a coalition of Catholic health care organizations). Byock worked with Karen Kaplan of Choice in Dying to give the old right-to-die organization a new “consumerist” look, and in 1998, the two announced that Choice in Dying would evolve into Partnership for Caring. Two years later, the Annals of Internal Medicine (March 7, 2000) published a controversial article he coauthored with Timothy Quill. They promoted “terminal sedation” and “voluntary refusal of food and fluids” as a way to hasten death. Even the National Association for Catholic Chaplains has been influenced by this agenda. Palliative care teams include chaplains and are quickly becoming the standard in end-of-life care. When the NACC was restructured in 2000, the president and chief executive officer of HealthCare Chaplaincy (a multifaith organization funded by Soros, and Mary and Laurance S. Rockefeller, among others) was appointed to its board of directors. In 2004, professional pastoral care organizations, including the NACC, agreed to abide by a common code of ethics and common principles for processing ethical complaints. Then, in 2007, the Hastings Center and the HealthCare Chaplaincy received a grant to research “professionalizing” health care chaplaincy and to assess quality improvement. NACC recommends that members receive training from the RWJF-funded Center to Advance Palliative Care’s Leadership Centers. Part of the training focuses on enabling the palliative care team—with its built-in chaplain— to obtain a position of trust with the patient and family. Spirituality is emphasized over religion. In fact, one RWJF/PDIA project (a November 2001 Last Acts workshop) went so far as to ask members to take the “religion” out of their work and instead be spiritual advisers and listeners. Supportive Care of the Dying was an organizational partner of Partnership for Caring, a right-todie organization. Partnership for Caring dissolved, and Supportive Care of the Dying changed its name to the Supportive Care Coalition. The Catholic Health Association was one of the founders of SCC. SCC’s message has not changed much over the past decade. Just as Choice in Dying promoted living wills, so does SCC. Just as Choice in Dying worked with the Center for Practical Bioethics, so does SCC. Just as Choice in Dying supported withholding/withdrawing from patients in a “vegetative state,” so does SCC. These are just some examples of how the bioethics/right-to-die movement has been incorporated into the Catholic health care system. The palliative care movement is changing medical care in this country. With the “help” of Catholic health organizations such as SCC, we are turning away from lifesaving medicine to life-rationing medicine. Who is behind the palliative care movement? Timothy Quill, a Death with Dignity board member, is notable for hisarticle on facilitating the death of his patient “Diane.” He is now considered an expert trainer at the Center to Advance Palliative Care’s Leadership Centers. Sean Morrison, who coauthored a controversial national survey onphysician-assisted suicide with Quill in 1998, is now director of the National Palliative Care Research Center and was recently elected president of the American Academy of Hospice and Palliative Medicine. Nancy Neveloff Dubler, a Compassion & Choices advisory boardmember, is influential in pediatric palliative care. Dubler was tapped by the Hastings Center (arguably the nation’s most influential bioethicsthink tank) to develop an end-of-life conflict resolution and mediation program that will no doubt find its way into medical standards and government policies, as do most Hastings Center guidelines. The idea behind LifeTree was born in 1997. The initial purpose was to create a positive, easy-to-understand symbol of the pro-life movement. So a 23-foot tall structure, adorned with nearly 4,000 pairs of baby booties and socks, was dedicated on the 25th anniversary of the Roe v. Wade decision. It represents the almost 4,000 lives lost to abortion each day in the United States. Its first public appearance was in front of the North Carolina state capitol. 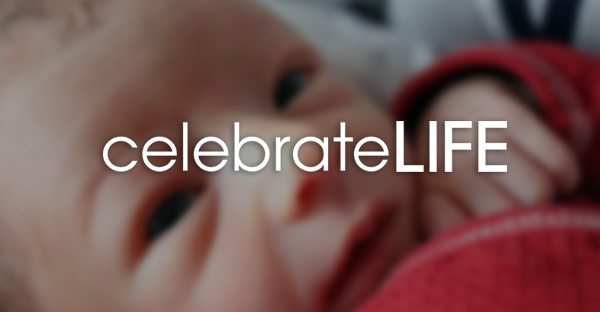 From the beginning, LifeTree’s leaders engaged in pro-life advocacy among the members of the state legislature. Then, in 2003, a bill purporting to prohibit physician-assisted suicide caught LifeTree’s attention, because it had so many exceptions as to make it ineffective. After much effort, a clearer version emerged. It was killed, however, and LifeTree was puzzled to learn that an organized hospice group for the Carolinas had led the opposition. With that, LifeTree began to focus on end-of-life issues, working with a talented researcher who chronicled this phase of the culture of death. In 2005, LifeTree’s timeline was posted on its web site. It shows how a handful of foundations and quasi-government agencies have funded and implemented the strategies highlighted in this article. LifeTree continues to reach out to all who will listen, with its well-researched information on the lower-profile wing of the euthanasia movement.